Dr. James Dennis, Senior Lecturer at the University of Portsmouth and a recent PhD graduate from NewPolCom, explains what’s really going on with Facebook’s recent policy changes. In a lengthy statement, Mark Zuckerberg recently announced that the future of Facebook was in private messaging, declaring that he expected “future versions of Messenger and WhatsApp to become the main ways people communicate on the Facebook network”. These messages will likely be ephemeral, deleting themselves after a specified period. 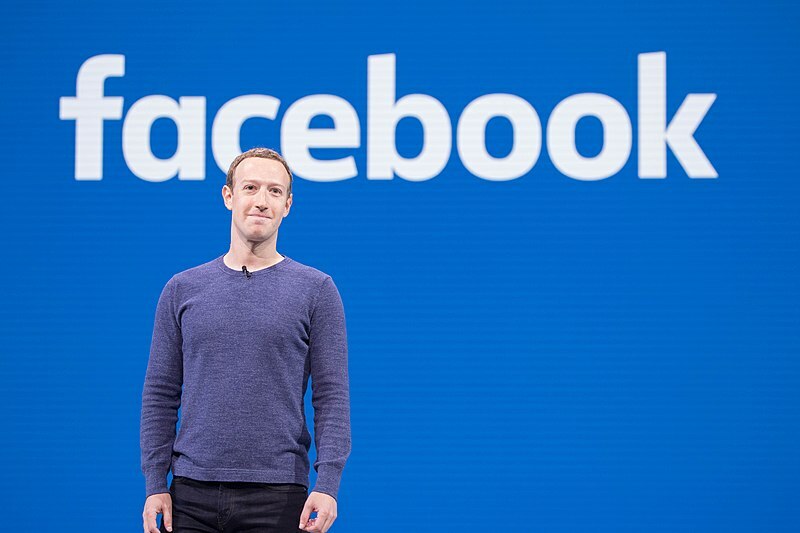 This announcement marks a seismic shift away from how Facebook currently operates. Its business model to date has revolved around the News Feed, the continually updating list of posts that feature on a user’s home page. In order to prioritise these posts, the News Feed algorithm draws on different forms of self-expression, from status-updates to the posts that a user clicks Like on. Crucially, this data is also used to inform the personalised advertisements that underpin the financial success of the company. So why make this change? To many, this announcement will not come as a surprise. Facebook, and its approach to privacy, has been under significant pressure from governments across the globe following the Cambridge Analytica scandal, which laid bare the dangerous lack of regulation that the organisation had in place to protect the data of its users. Furthermore, recent polls have shown that Facebook has experienced significant declines in user numbers, with Edison Research finding that the platform has 15 million fewer users in the United States than in 2017, the first such reduction since it began tracking Facebook usage in 2008. This is in stark contrast to the growing popularity of WhatsApp, which boasts more than 1.5 billion active monthly users. New research illustrates how this shift may reshape political communication. In Beyond Slacktivism, I used media diaries to understand how citizens use Facebook and Twitter to discuss the news and participate in political life. In contrast to my own expectations, I found that many of the civically-interested, heavy social media users that I recruited refrained from public forms of expression on these platforms. Instead, they were “listeners”, consuming political information from social media but taking to private and semi-public spaces for debate. Here, Facebook Messenger and WhatsApp became sites for rich political talk. Some campaigning groups have devised creative forms of activism as a result. In her contribution to Political Communication in Britain, Abi Rhodes illustrates how Momentum, the political activist group founded in the wake of Jeremy Corbyn’s rise to leader of the Labour Party, used WhatsApp to mobilise voters. Around 400,000 people received messages on polling day in 2017, encouraging them to support the Labour leader. For political journalists, however, this represents a significant obstacle, as Facebook seeks to transform the standards for news distribution across its services yet again. From encouraging publishers to create content to be consumed within its walled garden with Instant Articles, to the changes to the News Feed algorithm in 2018 that prioritised posts from friends over Pages, the company has long played an active role in shaping the style, format, and content of journalism on its platform. Given that many news organisations rely on traffic from the News Feed for a sizeable proportion of their audience, such a change requires a radical reimagining of how journalists engage with Facebook. Perhaps the biggest challenge facing Facebook and its “privacy-focused vision for social networking” is the difficulty of curbing the spread of misinformation and disturbing content on its messaging applications. The need for such measures was evident in the response to the tragic terrorist attack in Christchurch. Facebook removed 1.5 million copies of the disturbing video of the attack, with 1.2 million blocked automatically prior to upload and a further 300,000 removed after being reviewed by content moderators. Yet, many news organisations reported that these videos were still accessible hours after the attack took place and, increasingly, the working conditions of the content moderators who had to repeatedly relive this atrocity have been questioned.Still, with public-facing platforms, social media firms at least have some tools at their disposal. Private messaging apps are not as straightforward. By using end-to-end encryption, messages sent on WhatsApp can only be seen by the sender and the receiver. Even WhatsApp cannot access these conversations. This creates a real challenge in stopping the spread of false stories and harmful material. While Facebook has introduced a limit to the number of contacts a message can be forwarded to, currently standing at five, groups on WhatsApp can include up to 256 contacts, so there is still an obvious risk of amplification. With evidence of conspiracy theories being widely shared during the contentious presidential election in Brazil in 2018 and hoaxes in India leading to violence, this danger is real and immediate. While the commitment of Facebook to fund research into this problem is an encouraging sign, striking a balance between privacy and challenging misinformation will not be easy. Whether or not this substantive change happens remains to be seen. Mark Zuckerberg has previous for making grand declarations on the future of Facebook that have not been delivered, such as his claim in 2015 that the News Feed would be primarily video by 2020. However, this time, the matter might be out of his hands. As increasing numbers of citizens, driven by fears about privacy and reputational damage, consume news and discuss political issues in private and semi-public messaging applications, our understanding of what social media is and how it impacts political communication must adapt accordingly.